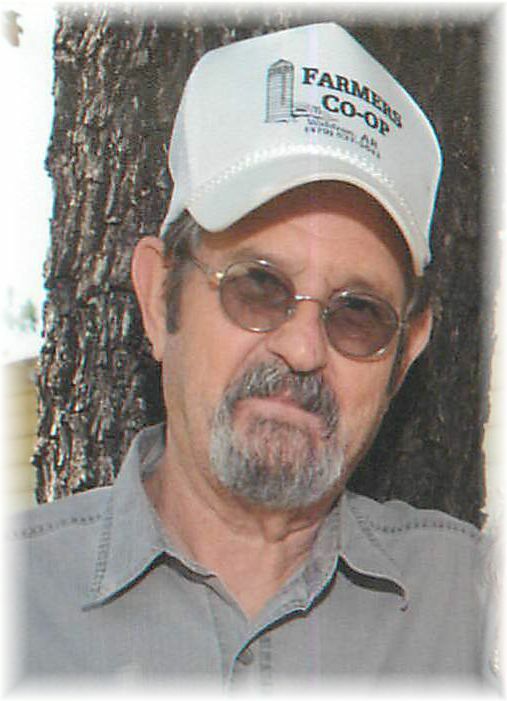 James F. Hunt, 74, of Waldron, Arkansas went to his heavenly home Sunday, March 24, 2019. He was born in Waldron, Arkansas on July 15, 1944, to the late Lonnie and Allie (McCubbins) Hunt. James was 74 years old. He was of the Pentecostal faith. James, or Jim, as most knew him lived a remarkably varied life, and held several jobs, from catching chickens at 16, to serving in the US Army from 1963-1966. He was a mechanic and heavy equipment operator for most of his life, except when he turned to politics and served as Scott County Judge for 1983-1984. He eventually went to work for the Arkansas Highway and Transportation Department where he worked until he retired in the early 2000’s. After retirement, he found satisfaction in running a chainsaw, driving a tractor, fishing, and simply riding his four-wheeler among his cattle. Jim leaves behind to cherish his memory, his wife of 48 years Cheryl (Speaks) Hunt of the home, one son, James Cody Hunt and wife Rachel of Bryant Arkansas, one granddaughter Emma Hunt, a sister, Reba Sue Williams of Danville, Arkansas, a brother, Don (Elizabeth) Hunt of Danville, Arkansas, a brother-in-law, Monroe Garner of Danville, Arkansas and many nieces, nephews, cousins and a host of friends. Jim will be missed by all that knew him and the many whose lives he impacted. Jim was preceded in death by his parents, two sisters, Edith Hunt and Bettie Jo Garner, and one brother, Hershel Hunt. Jim's celebration of life service will be Wednesday, March 27, 2019 at 2:00 p.m. at the Heritage Memorial Funeral Home Chapel in Waldron, Arkansas with Rev. Larry Pat Millard officiating. Interment will follow in the Egypt Cemetery in Blue Ball, Arkansas. Arrangements are being entrusted to the Heritage Memorial Funeral Home in Waldron, Arkansas. Jim's pallbearers will be Henry David Daman, Donnie Hill, David Alan Laster, David Wayne Garner, Ron Williams and Ronnie Williams. Honorary pallbearers will be Bud Hunt, Larry Wayne Garner, Bo Garner, Don Hunt, Don Williams, Todd Garner, Mitch Garner, Monroe Garner, Wayne Hale, Danny Bob Hunt and Rex Garner. Jim's visitation will be Wednesday, March 27, 2019 from 12:00 noon until 2:00 p.m. at the Heritage Memorial Funeral Home Chapel.